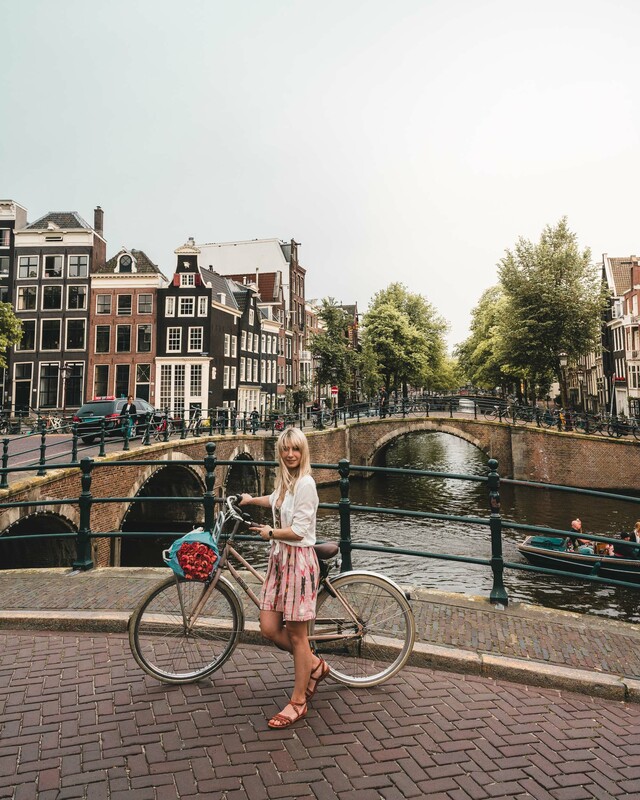 Amsterdam is the most international city in the world. Almost everyone you meet in the city center will speak fluent English. 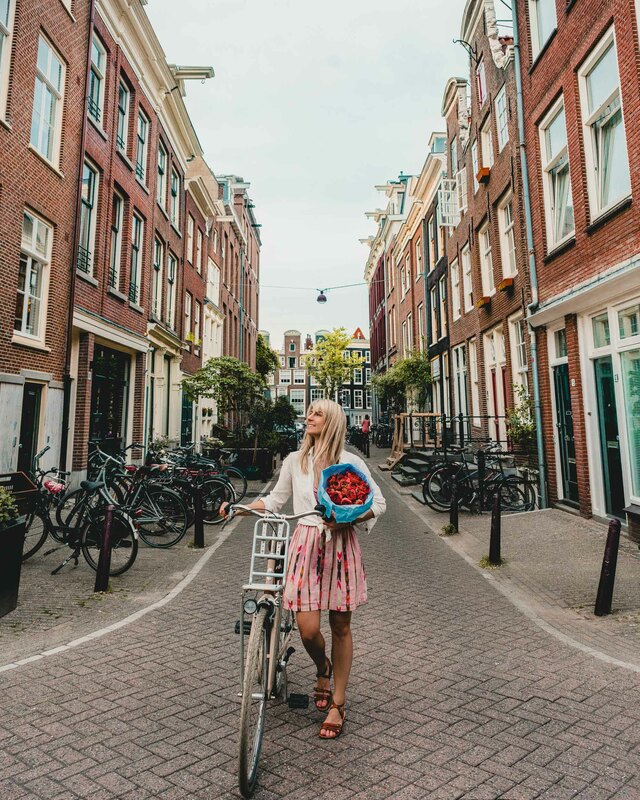 The Dutch are known for being both direct and friendly, which means they’re easy to talk to, but will also say what’s on their mind — which I love. It’s not hard to meet other expats in the city. We’ve found that we have a lot in common with people we’ve met here, usually through a love of travel and similar outlook on life. Before Jacob and I moved to Amsterdam we were living and working in Los Angeles. I spent an average of 3+ hours a day commuting in traffic. 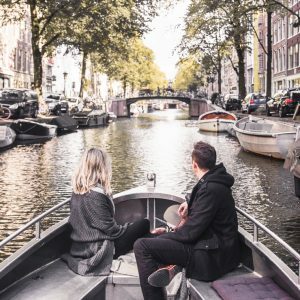 We don’t own a car in Amsterdam. Everything in the city center is less than 20 minutes by bike, and we can usually get to our favorite restaurant or cafe in about 5 minutes. I’ve run into friends while biking because the city is so small…that never happened to me while living in Los Angeles! So often we visit cities and find that the most picturesque parts are located in one stretch of the city. That’s just not the case with Amsterdam. The entire city is beautiful and well-maintained. 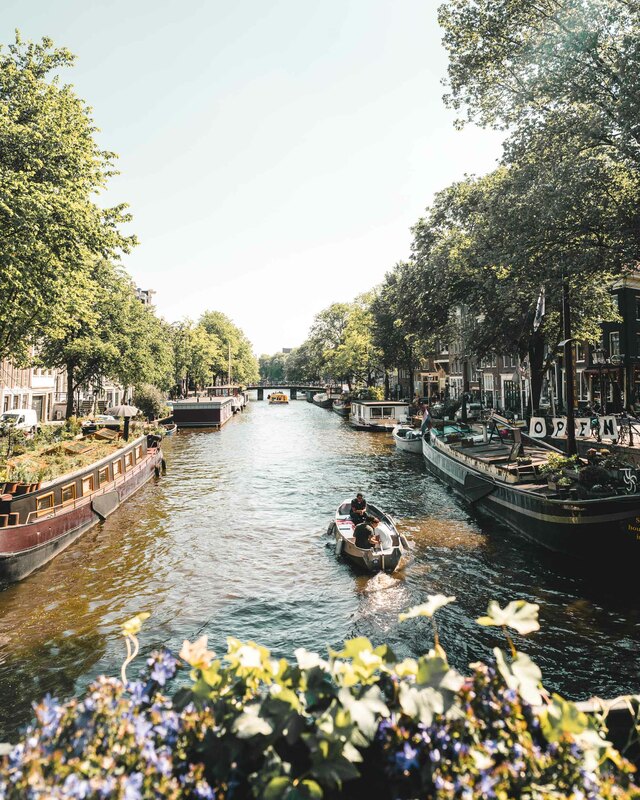 From the canals in the city center, to the parks around the city, to the crooked houses in the south, everything looks like it belongs on a postcard. 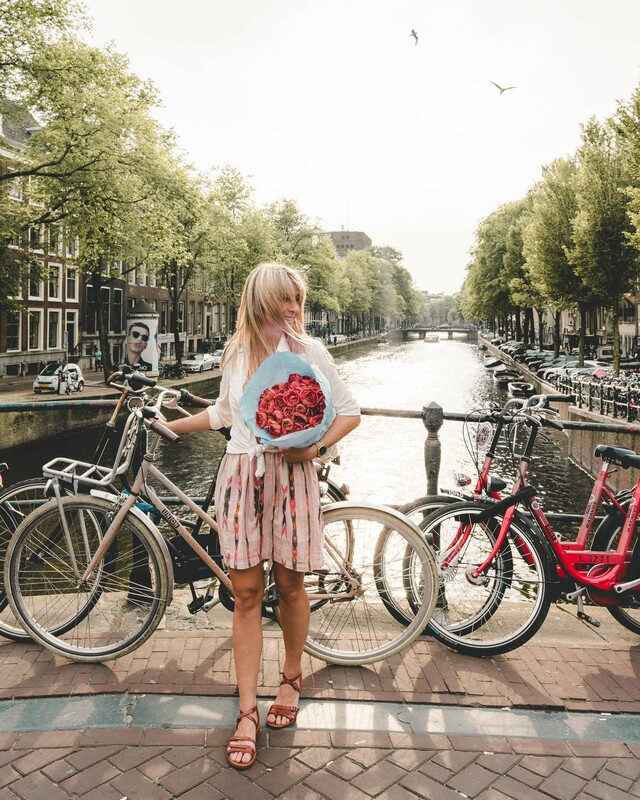 Most Dutch people who live in Amsterdam will rave about how much they love the city, and that local pride just makes it that much more amazing. Wine is 5 euros or less, my grocery bills are a third of what they used to be in Los Angeles, and there are plenty of affordable places to rent no matter what your budget is. Although the exchange rate hasn’t changed in our favor the past couple of years, I’d take the cost of living here over most other cities any day. This one is key for us. 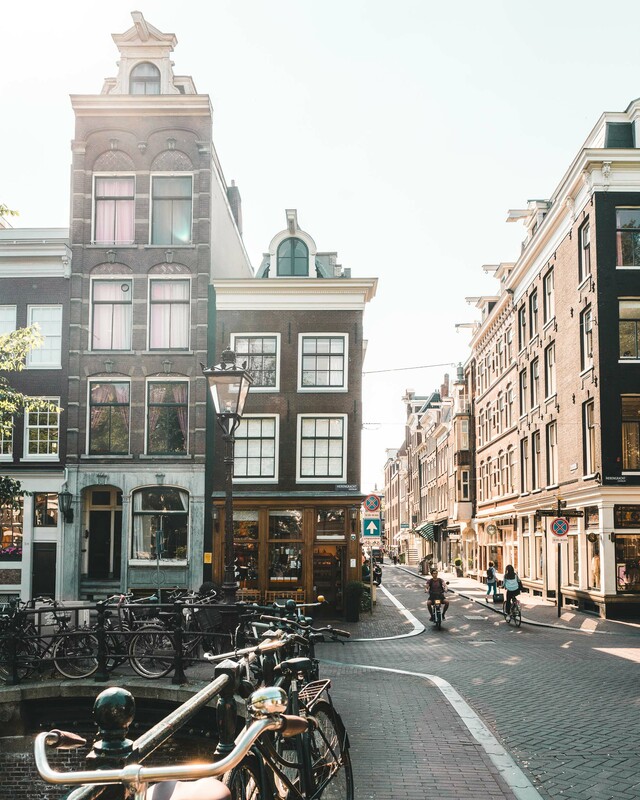 We’re a 30 minute train ride from Amsterdam’s Schipol airport, which has direct flights to all major European cities. We can fly to most major cities in 3 hours or less, which makes it so convenient for us to travel whenever we need to. We can also rent a car and drive to Germany or Belgium in less than 2 hours! It’s what made our impromptu Christmas Market trip possible last year. 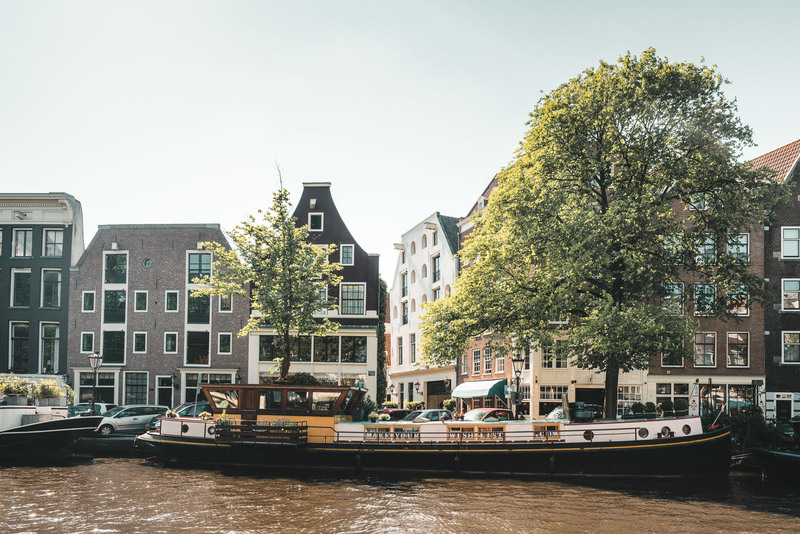 For more of what we love in Amsterdam, check out our Complete Amsterdam Travel Guide for our favorite spots around the city. Have you considered living abroad? Where would you go? Comment below. I visited Amsterdam over 10 years ago and I really want to go back soon. I would love to live overseas – possibly in Italy or Bali. Would love to try living in Italy or Bali too! I’d probably eat 5 meals a day in each, ha ha! How fortunate I am to stumble upon this! I lived in Amsterdam for almost two months last summer and it was the most amazing experience of my life. 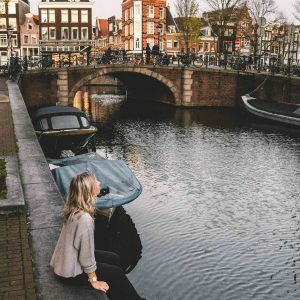 I am from Missouri (bit of a culture shock) and Amsterdam was my first experience traveling. Now I’ve been too many places to count – and Amsterdam is still number 1. I rave non stop about how wonderful it is- I love to see other Americans discovering the beautiful gem! 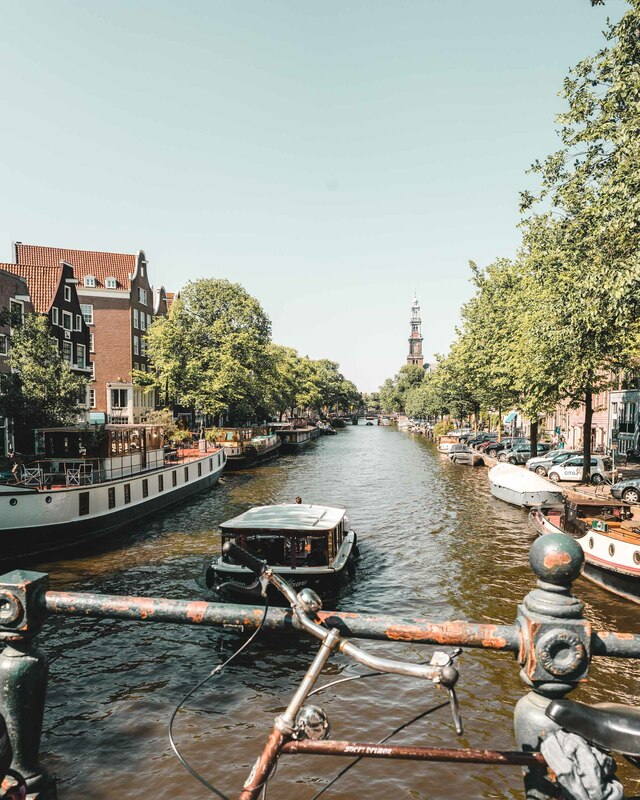 I’m about to move to Phoenix to finish my studies and hope to be back in Amsterdam within the next 10 years… do you have an Instagram? Would love to follow your adventures! Hope you’re enjoying the Heineken & fries with mayo! Safe travels and thank you so much for this blog! (It’ll help me defend my case when I leave the states – hehe). My instagram is @finduslost, my husband is the photographer and I run our blog and instagram. 🙂 After 2 years in Amsterdam we actually just left for a new adventure last month, traveling full time! 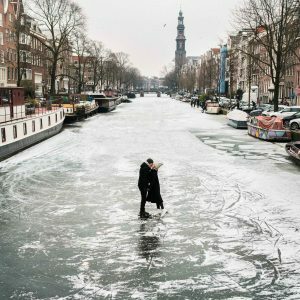 These are all the reasons why I love living in Amsterdam too! It’s the best. I love it more every time we return!